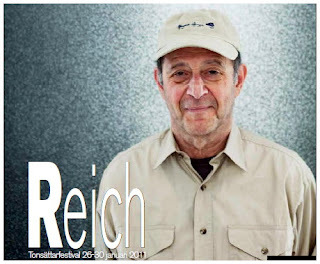 The Konserthuset in Stockholm kicks off Steve Reich's 75th birthday year with Tonsättarfestivalen: Steve Reich, five days of concerts featuring the Kungliga Filharmonikern, Kroumata, Amadinda, Synergy Vocals, and the composer himself. The concerts will be broadcast on Swedish Radio P2. This week's festival is the first of a year's worth of events around the world honoring the composer's 75th birthday on October 3.